Forward-looking: 2019 might have just been thrust upon us, but it’s never too early to start seeing new iPhone leaks. 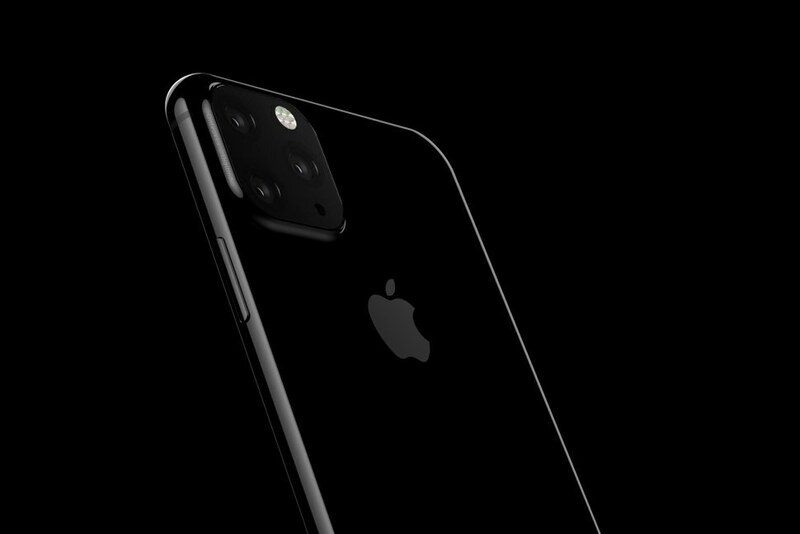 Renders purportedly showing the iPhone XI, as it will probably be called, have hit the web, revealing an unusual rear triple-camera setup. Prolific leaker Steve Hemmerstoffer, better known by his twitter handle @onleaks, posted renders of what is said to be the next iPhone. The three lenses, flash, and microphone are placed inside a square, similar to Huawei's Mate 20 Pro, though the lens arrangement is different to its rival's handset, and the array is placed in the upper corner rather than in the center of the phone. Importantly, Onleaks says these images are based on engineering validation test (EVT) hardware, so the designs could change before the phones arrive in September. The handsets still need to go through the design validation test (DVT) and production validation test (PVT) stages, but it's noted that general features such as the number of cameras are usually locked down by the EVT stage. Another reliable leaker, IceUniverse, believes the renders are correct. An earlier report from Bloomberg suggests that the extra iPhone camera could be used for its long-distance Time of Flight (ToF) technology, which allows the creation of detailed 3D models from objects within five meters. The tech has applications in AR, photography, gaming, security, and even hand gestures. Apple is expected to launch three phones this September, successors to the iPhone XR, XS, and XS Max. They’re still nine months away and a lot can change in that time, but with Apple looking for a way to boost waning interest in its handsets, a drastic redesign could be on the cards.